What is the key to the successful photo memories to remind us of the big day? 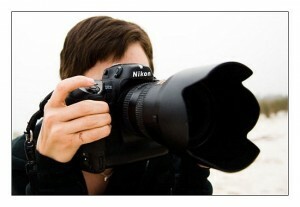 Competent, professional photographers and their good relationship with the clients. Wedding day is something that hopefully happens only once in a lifetime, the celebration of love, trust and joy and it is of great importance to have nice and well taken wedding photographs. Click Art Photography is the company offering wedding photography services for brides and grooms having their marriage ceremony in London, Essex, Kent, Surrey, Berkshire and throughout south-east of United Kingdom. Click Art Wedding Photographers offer three standard wedding packages, but they leave their clients opportunity to suggest and get even more. Wedding photographers find out what exactly clients want – simply, by talking to them. Some couples like unique, fun and trendy photos, while others prefer romantic and more traditional ones. It is important to have a good clients – photographers communication, in order to get the perfect wedding photo album. Even though it is beautiful and joyful, marriage ceremony can be quite stressful for all the participants. Hence, prior the big day couple’s wishes and suggestions should taken in consideration and everything should be discussed. Here you can find photo-gallery to see their previous work and it might help you decide whether to hire them. On website gallery you can see photographs taken in numerous situations, such as wedding preparation, reception, couple’s romantic moments, cutting cake etc. Wedding Day is important occasion and wedding photographers should be chosen wisely.